Celebrate the holiday season with these 20oz. holiday-themed paper yogurt cups! 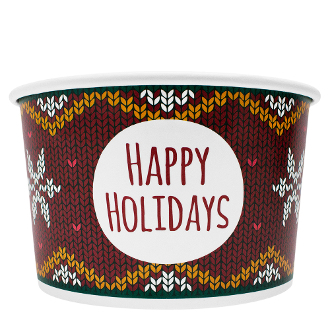 Make your customers feel warm and cozy when you serve them yogurt and many other items in this festive sweater print paper yogurt cups! Now available in a 20oz size. Matching dome and flat lids sold seperately.